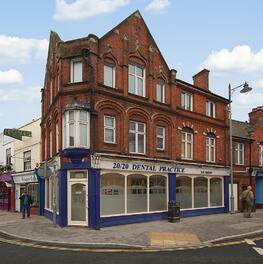 At 20/20 Dental practice we pride ourselves in helping patients rather than judging them. We are passionate about helping our patients maintain their oral health and know how much our patients value their smiles. We will help you to keep your teeth and gums healthy and keep your ‘Teeth for life'. We welcome adults as private patients. Childrenare seen FREE of charge on the NHS. We will discuss all the treatment options available to you to enable you to make informed decisions about your oral health. We believe that the best way of making treatment affordable, without compromising our high quality of care, is to offer you our 20/20 Smile Membership. 20/20 Smile Membership for £14 per month enabling you to attend the dentist on a regular basis to help you prevent problems before they occur helping you achieve better long-term oral health.